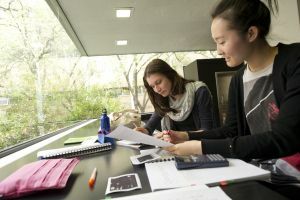 Foundations of Teaching and Learning for Graduate Researchers (FTLGR) is specifically designed for currently enrolled graduate researchers at the University of Melbourne who are new to teaching. This program consists of three workshops that introduce the fundamentals of effective teaching for learning in higher education settings. Upon successful completion of the three workshops, participants receive a certificate, after which they may also like to consider taking the Advanced Skills for Sessional Teachers program. FAQs: Managing common challenges in the classroom. Each workshop is two hours in duration and available in Semesters 1 and 2. Participants can choose to attend one or more workshops but only those who complete all three will receive a certificate of completion. If you are a University of Melbourne staff member looking for formal training in university teaching, please refer to the Melbourne Teaching Certificate or Graduate Certificate in University Teaching instead. 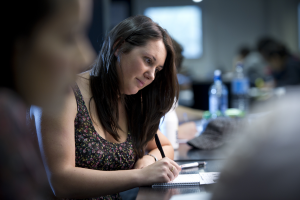 Gain insights into the particular teaching environment of the University of Melbourne. Please note: Participants can choose to attend one or more of the workshops, but only those who have attended all workshops will be provided with a Certificate of Completion. Participants do not need to attend consecutive workshops (for example, you can choose to attend the first and second workshops in May and third workshop in July). Please register by clicking or tapping on the above workshop(s) that you'd like to attend. You will need to register for each workshop separately. There are no fees for this program, and no direct charges to departments, schools or faculties. The program is provided by the University of Melbourne as a service for graduate researchers.